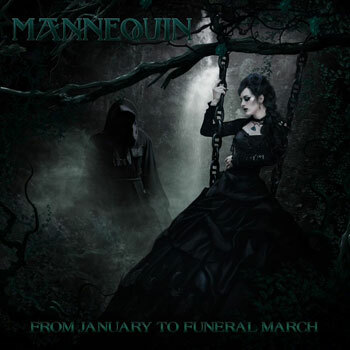 Formed in early 2015, Mannequin is an extreme metal band from Hexham, North-East England. The band consists of Benjo James (lyrics, lead vocals, keyboards, programming, production) and Jack Wilson (guitars, bass, drums, backing vocals, production). 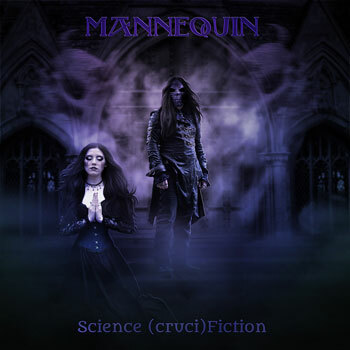 Their second EP, “Science (cruci)Fiction”, establishes the band as more than just another extreme metal outfit, expanding its search for identity within the walls of Gothic rock and Thrash Metal, as well as its quest for sheer aural destruction. Mannequin’s dip into the sci-fi element of their music is a masterpiece and a half. As soon as the opening track “Grave New World” kicked in I was in love with this album, it’s a real atmospheric piece and a great lead-in to “Intelligent Malign” a roaring romper-stomper of a track. The tracks themselves are all awesome, no turkeys here. “Do Androids Scream?” continues to rage as hard as the awesome previous track and there’s plenty of variation to follow, notwithstanding, the only 5 tracks. The epic “Fashionista Dictatorship”, is certainly a step away from the norm, with an almost tribal-sounding and some Celtic influences seeping through the arrangement and its pretty damn good too. It’s plain to see this is where Mannequin take a major step away from being just another ‘extreme or thrash metal band’, introducing a bit of experimentation into their style. And Benjo James’ vocals are as beautifully aggressive as ever. Pugnacious, loud, heavy, thrashy and experimental – Mannequin is at their peak with all of their best elements thrown-in, on “Cyberdrunk”. 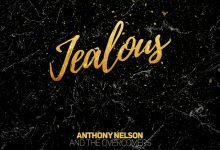 Benjo James growls powerfully without sounding cheesy like many other singers from the genre, while Jack Wilson’s rhythm guitar and rapacious riffs are also flawless. “Science (cruci)Fiction” is emotional, evocative, and heavy – the basic requirements for solid metal and it’s subgenres. Now add the experimental edge, propulsive grooves and supercharged lyrics, and mix that up a bit with blistering thrash elements. The result is a monumental EP with pummeling attitude! The sheer power of Mannequin and the potent fury they create as well as the crossover sound storms they kick up, is never overwhelming, remaining accessible to a wide variety of metal fans. Translated – they have a thick and heavy sound but the music is still understandable to the masses! This album has so many great aspects to it, it’s impossible to write about them all. Suffice to say that if you were trapped on a desert island and could only take five newly-released metal albums with you, “Science (cruci)Fiction” would be one of them. Not bad for brand new band!